When I first switched to cruelty-free and vegan makeup, I thought it was going to be impossible to shop at the drugstore. After doing a little bit of research I quickly learned that there are tons of cruelty-free drugstore brands and even some completely-vegan drugstore lines! 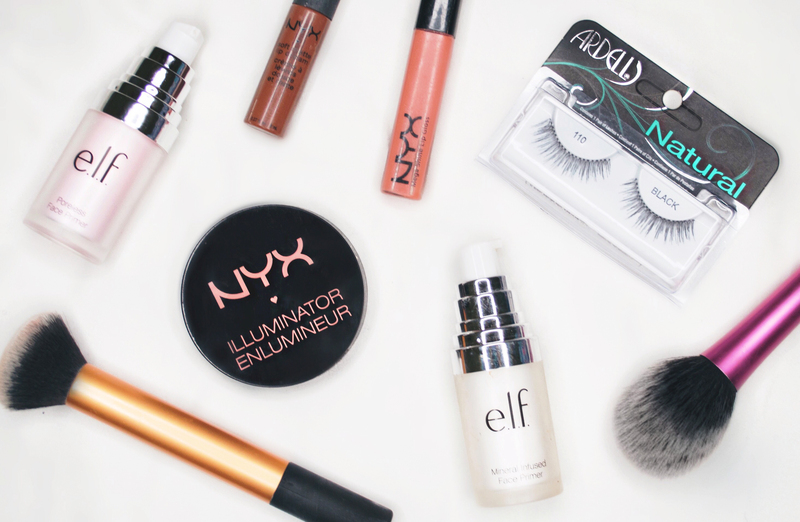 In my opinion, Target, CVS and Ulta are some of the best places to shop for cruelty-free cosmetics, but it really just depends on which brands your local stores carry! A few of my favorite cruelty-free drugstore brands are NYX, e.lf, Milani, Pacifica, Wet n’ Wild and Real Techniques. I also would love to try Pacifica, but haven’t had the chance yet! I have heard so many good things about their products and they are 100% vegan. If you want more information on vegan lipsticks, have a look into – Buy Vegan Lipstick – Long-Lasting Lips from NCLA Beauty – shopncla. Unfortunately, the most popular drugstore brands DO test on animals, since animal testing is required to sell in mainland China. Most cruelty-free brands will be found in the back of the makeup section, or on the farthest ends of shelves in places like Walmart or Kroger. If you only want to shop cruelty-free and not vegan, then you can purchase anything made by the brands above. I will list some of my favorite vegan products below, but I cannot list all of them because this post would be way too long! Makeup that is cruelty-free has not been tested on animals, but may still contain animal-derived ingredients. If brands have lists of vegan products online, I will include them as well. Although NYX does not list or label vegan products on their website, they do provide an ingredients list for individual products! Some of my favorite vegan products are their Matte Bronzer and Illuminator. I love the Illuminator in the shade ‘narcissistic!’ Their super luxurious Soft Matte Lip Creams and liquid lipsticks, Lip Lingerie, also happen to be vegan. e.l.f. is one of my favorite brands because ALL of their cosmetic products are vegan (yay)! This previously excluded some makeup brushes, but thanks to a collaboration with PETA, they have switched to synthetic brushes. Read more about this here! All of their products are extremely inexpensive as well. Some of my favorite e.l.f. products are their blush palettes, which are insanely pigmented, and their primers. They also have an extremely inexpensive ($3) vegan mascara, which can be hard to find. Milani is not completely vegan but does offer many vegan products. They have a vegan-friendly list on their site, but it is currently being updated. Vegan Beauty Review does provide a list of vegan Milani products that you can use in the meantime. Luckily, the cult favorite Baked Blush in lumioso is vegan! They also have an awesome vegan liquid eyeliner and eyeshadow primer. Pacifica is a brand I have yet to try but I have heard so many good things about their products! This brand can be a little harder to find but I have seen products at Target and Ulta. All of their products are 100% vegan from day one! Their Dream Big mascara is very popular and has awesome reviews. They also offer an awesome eyeshadow and face palette, with six eyeshadow shades, blush and bronzer. Quality vegan eyeshadow palettes can be hard to find, especially at the drugstore! Wet n Wild is a brand that has been cruelty-free for a long time, and is striving towards making more of their products vegan-friendly. They do provide a list of their vegan products on their FAQ page, which can be found here. They have some awesome highlighters that offer vegan shades in boozy brunch and sand-gria castles (the MegaGlow Highlighting Powder is NOT vegan). Wet n Wild also has some adorable pink brushes that are made of vegan synthetic fibers! Real Techniques is a brand of inexpensive synthetic makeup brushes created by YouTubers Samantha and Nicola Chapman. Not only are these brushes completely vegan, but extremely high quality at a low price! I have a ton of Real Techniques brushes that apply my makeup flawlessly and have never lost any bristles. If you want to try Real Techniques for the first time, I would reccomend their Core Collection set, which includes face makeup essentials. To find more vegan makeup products, subscribe to my newsletter or use this awesome website to check if ingredients are animal derived. Although there are many vegan and cruelty-free options at the drugstore, many companies do still engage in animal testing. Just in case you are unsure or confused about a certain brand, I will list a few companies to avoid below. If you know of any other cruelty-free brands to add to this post, please let me know! If you have any questions or would like to add a brand to this list, please leave a comment below or email me! For more cruelty-free and vegan beauty, subscribe to my newsletter below and follow my social media channels listed in my sidebar.